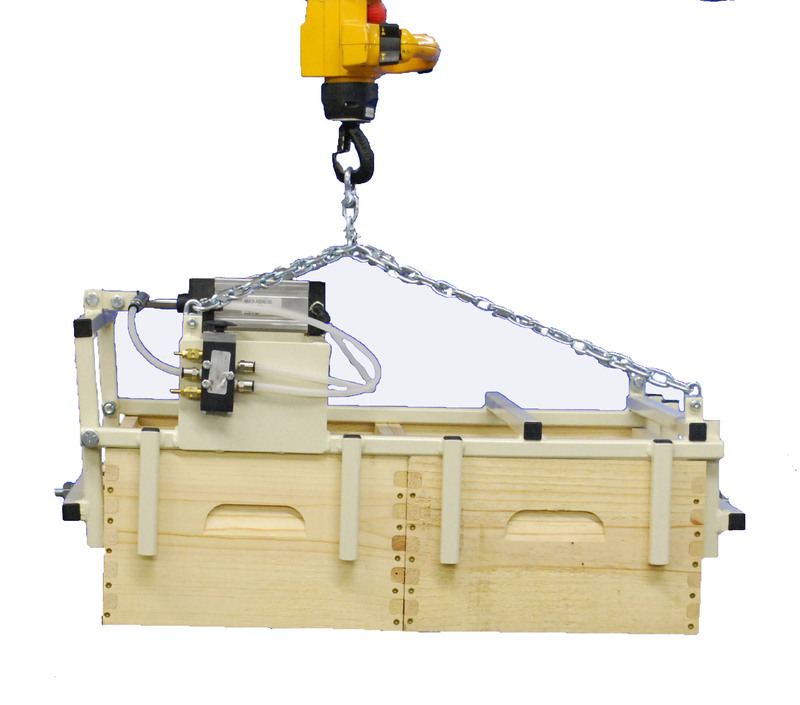 The Box Grabber is an air activated device, intended to move two boxes at a time from a stack on a pallet and place these two boxes on a roller conveyor that leads to the Deboxer. This is all accomplished with the Box Grabber raising/lowering and pivoting with the aid of a jib crane and 115 Volt hoist. These items are all included in the price.